Hello to all! We will be hosting four Women Build groups this week! * We are excited to host a team of Individual Women Builders, teams from ReAct #2, General Dynamics #2, and Team Pretty Tough. This coming week we will be working from scaffolds and ladders to continue sheathing the second floor. We will also be installing basement windows, roof trusses, and plywood roof sheathing. *The site will be closed to non-core volunteers on Friday and Saturday. We apologize for any inconveniences and we look forward to having you on site with us soon. 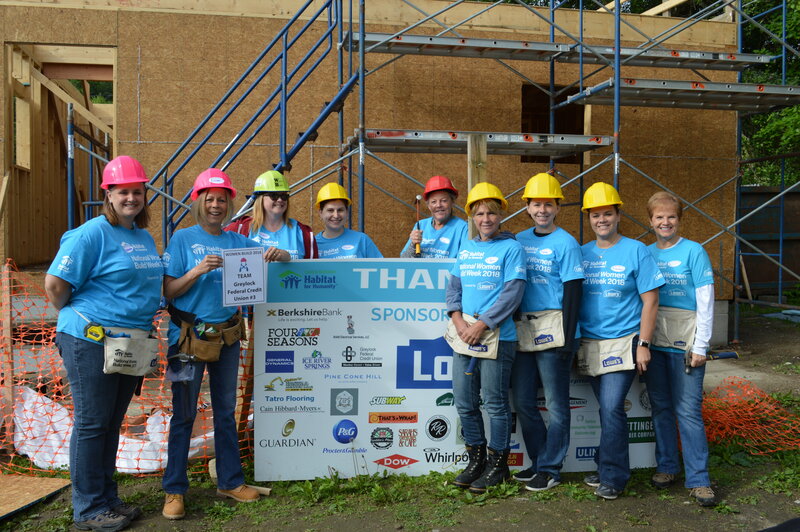 If you are interested in serving on site outside of Women Build, please contact Volunteer Coordinator, Katiana Selens (kselens@berkshirehabitat.org, 413-442-3181). 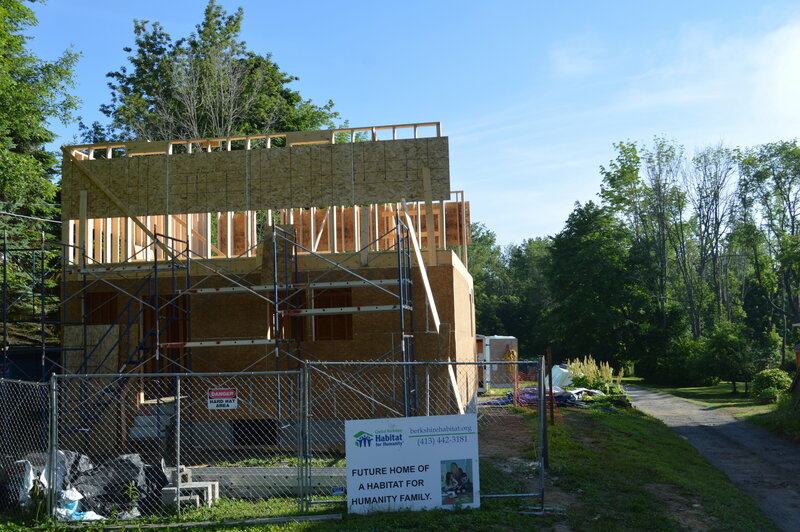 Last week, Teams Greylock #3, Bentley Brook, Junior League and ReAct #1 built the stairs from the first to the second floor, built and raised the second floor walls, and began to sheath the second floor walls. 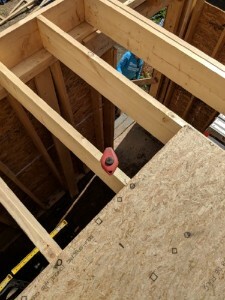 These teams worked from scaffolding and the newly installed sub floor which can sometimes be an intimidating experience for new builders and they all did amazing work in this new environment, literally reaching new heights. 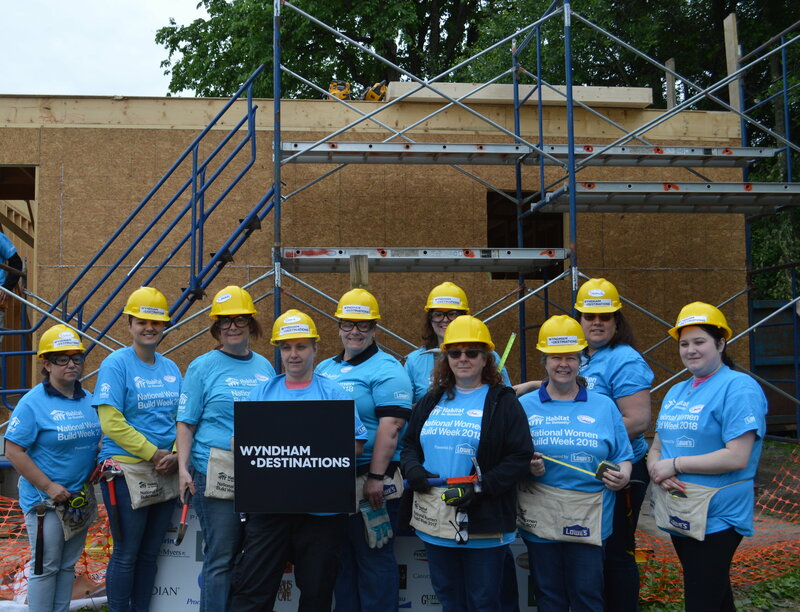 If you are interested in participating in our 2018 Women Build, we still have individual slots open for June 13th. All interested parties should contact Volunteer Coordinator, Katiana Selens or Community Outreach and Development Manager, Dawn Giftos (dgiftos@berkshirehabitat.org). As we race toward summer solstice the house in Dalton is growing toward the sun. Last week our wonderful Women Build teams framed and raised all but one small section of the second floor exterior walls. We also moved and added to our scaffold, installed strong-tie structural straps, installed sheathing, added headers, inspected fastening and Brian mowed the lawn. Thanks to everyone for their hard work. Please help us raise the walls! Women Builders are asked to pledge or raise at least $100 each towards alleviating substandard housing in the Berkshires. 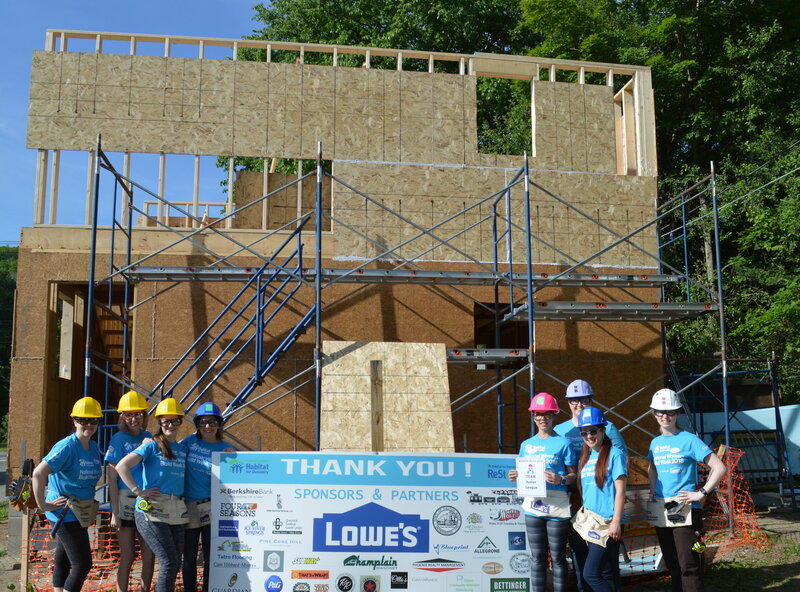 This pledge raises funds to cover the overall cost of construction during your Women Build experience, including t-shirt, job site food, equipment and supplies. 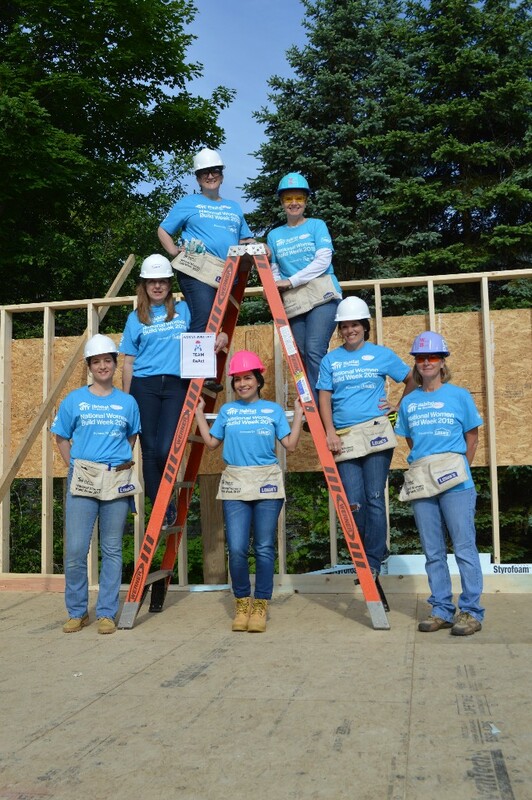 Like hundreds of Habitat affiliates around the U.S., Central Berkshire Habitat hosts Women Build to increase awareness of our mission in the community.